• Be satisfied with what you have. • Always stop to think whether your fun may be the cause of another's unhappiness. • Betray a friend, and you'll often find you have ruined yourself. 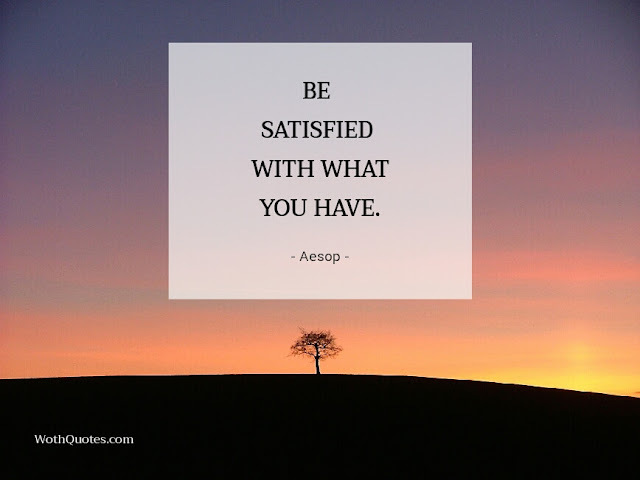 • Be content with your lot; one cannot be first in everything. • A fails tale often betrays itself. 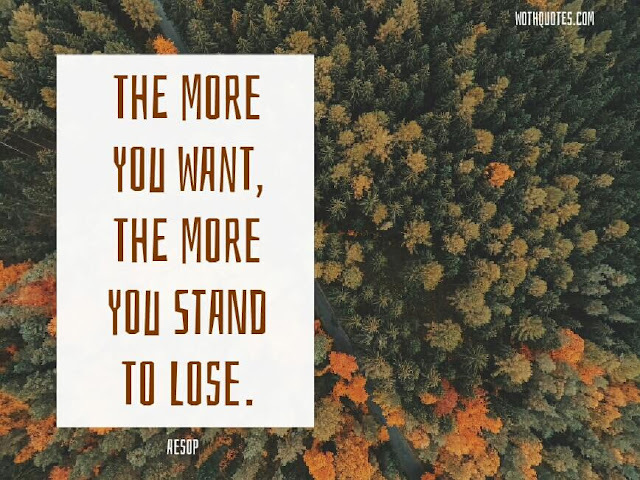 • The more you want, the more you stand to lose. 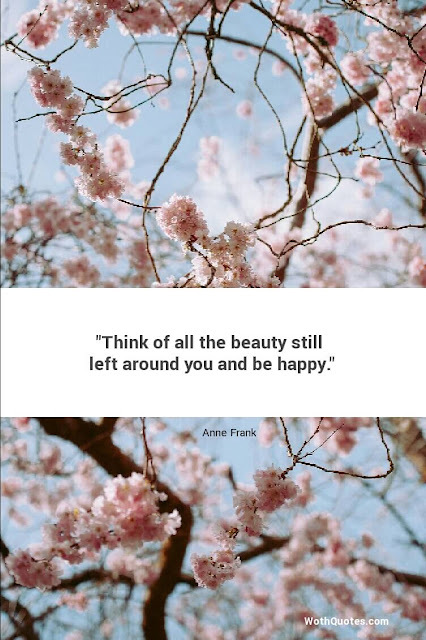 • "Always remember that you are absolutely unique. Just like everyone else." • It is easy to despise what you cannot get. • "One story is good, till another is told." • "Better no rule than cruel rule." • Appearance often are deceiving. • "Keep your place in life and your place will keep you." • "No argument, no matter how convincing, will give courage to a coward." • Do not tell others how to act unless you can set a good example. • The greatest kindness will not bind the ungrateful. 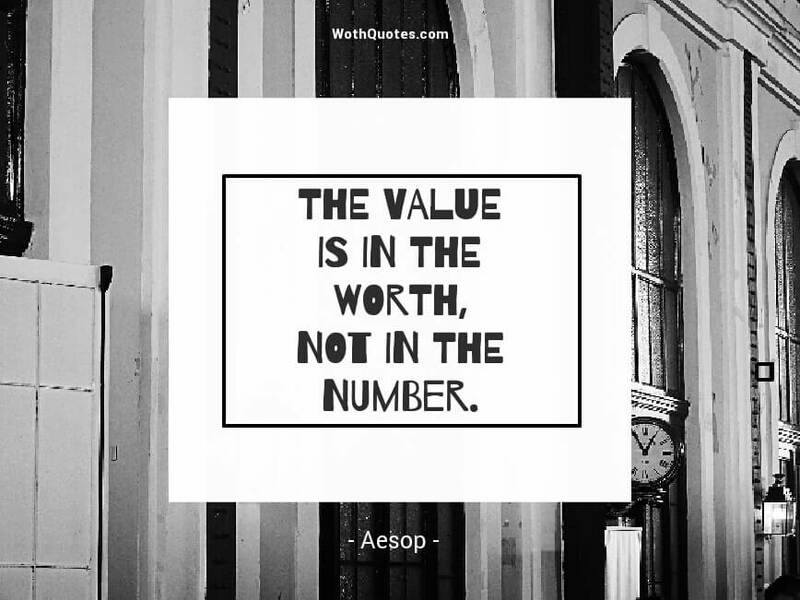 • The smaller the mind the greater the conceit. • People often grudge others when they cannot enjoy themselves. • Self-help is the best help. • Boasters brag most when they cannot be detected. • "Every man carries two bags about him, one in front and one behind, and both are full of faults." 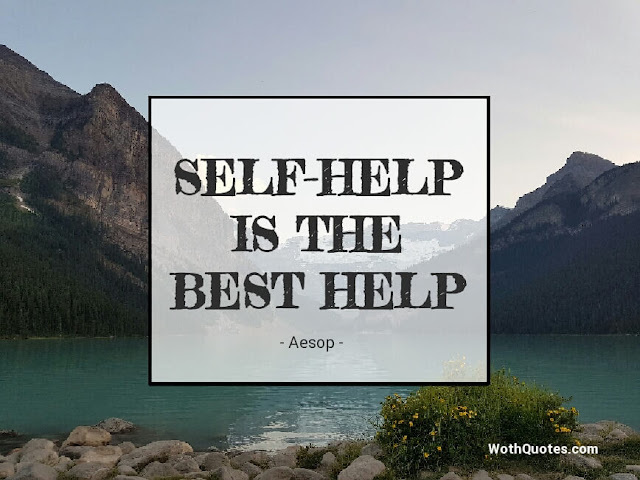 • Give assistance, not advice, in a crisis. • The great do not always prevail. • Gratitude is the sign of noble souls. • "Misfortune tests the sincerity of friends." • "Notoriety is often mistaken for fame." • Don't not waste your pity on a scamp. • Those who enter through the back door can expect to be shown out through the window. • Beware lest you lose the substance by grasping at the shadow. • The value is in the worth, not in the number. 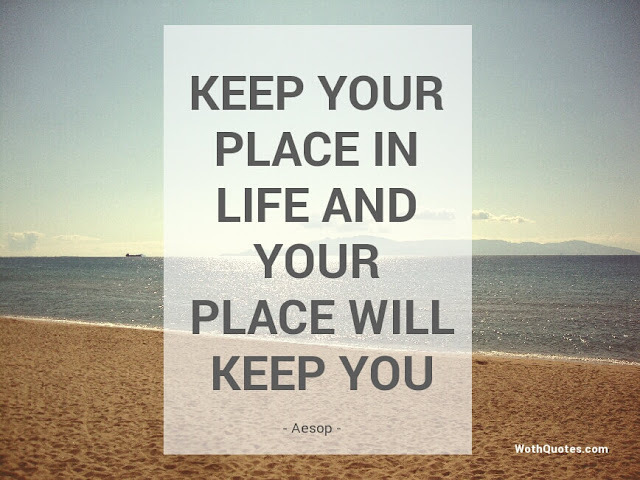 • A man is know by the company he keeps. • "There can be no good fable with human beings in it. There can be no good fairy tale without them." • He that is discontented in one place will seldom be happy in another. • A liar will not believed even when he speaks the truth. • Better a long life of toil than a short one of ease. 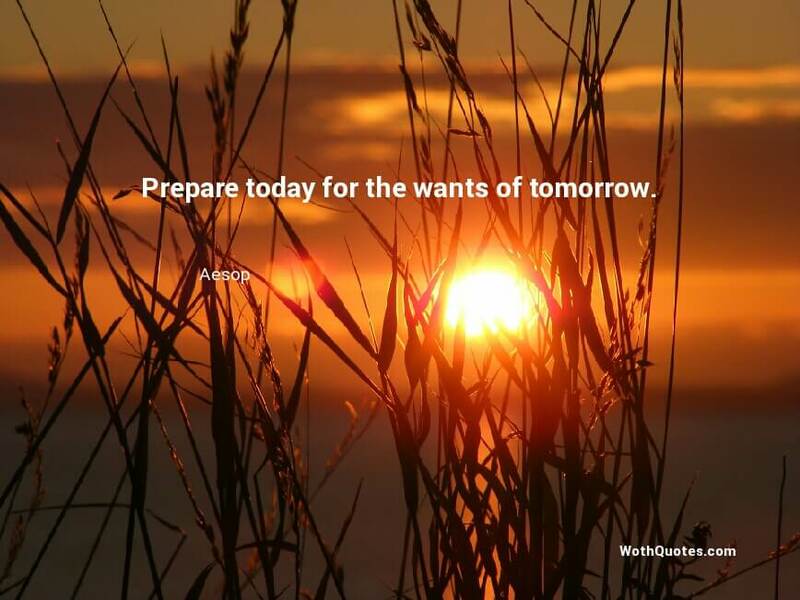 • Prepare today for the wants of tomorrow. • In serving the wicked, expect no reward, and be thankful if you escape injury for your pains. • Do not attempt to hide things which cannot be hid. • It is thrifty to prepare today for wants of tomorrow. • "It is easy to be brave at a safe distance." • Those who seek to please everybody please nobody. 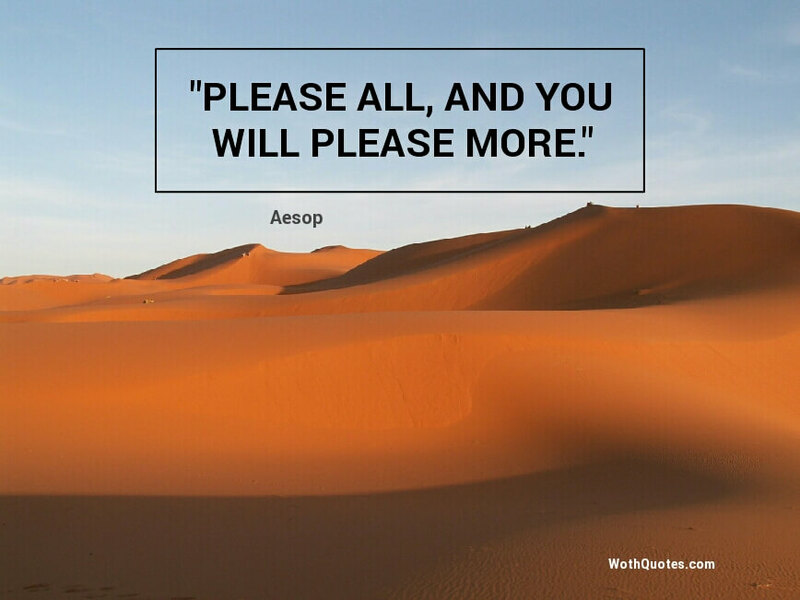 • "Please all, and you will please more." • The unhappy derive comfort from the misfortunes of others. • Those who suffer most cry out the least. • Don't count your chickens before they are hatched. 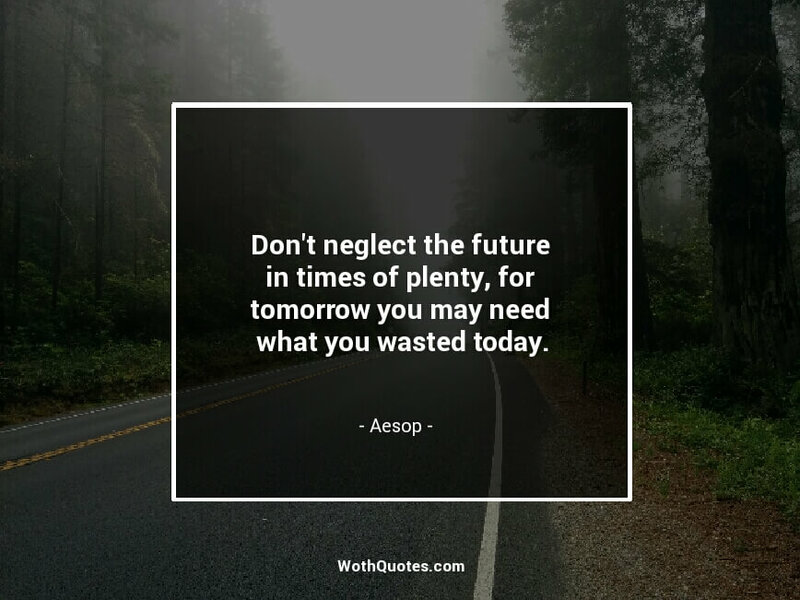 • Don't neglect the future in times of plenty, for tomorrow you may need what you wasted today. 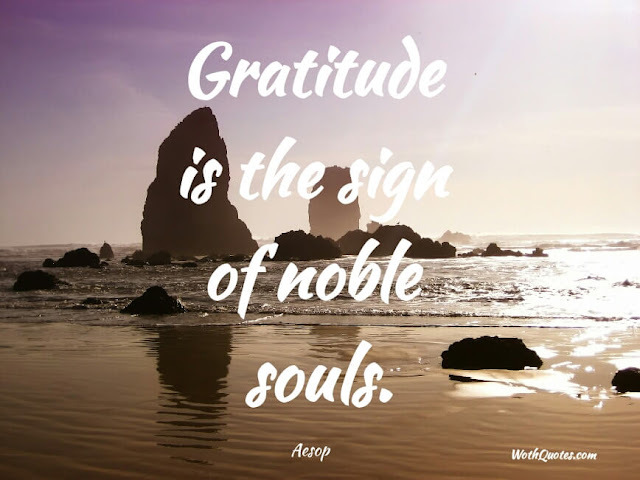 • We would often sorry if our wishes were gratified. • Little by little die the trick. • Better be wise by the misfortune of others than by your own. • If men had all they wished, they would be often ruined.